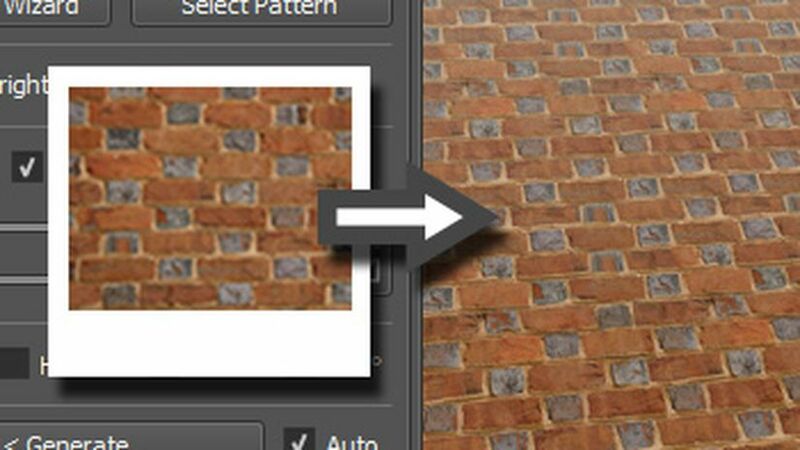 Easy to use Seed Wizard in the Texture area simplifying seed image preparation. Revamped 3D preview area with new options, displacement rendering and custom model loading. Fully editable 3D maps with specific tools for each kind. Whole image/surface adjustments as well as pixel editors for image editing and displacement sculpting. Texture and 3D maps can now be edited in an external application with results returned to PixPlant. Ambient Occlusion rendering from a displacement map. PixPlant 3 includes project files, storing the open files and settings, so that you can return and continue work at any time. A "more modern" user interface with two skins. Many other improvements, optimizations and better stability. PixPlant remains DRM-Free: no activation or online connection is required to run PixPlant.